Western leather gun belts and gun holsters. We have single draw, left hand draw, right hand draw, cross draw and double draw gun belts. 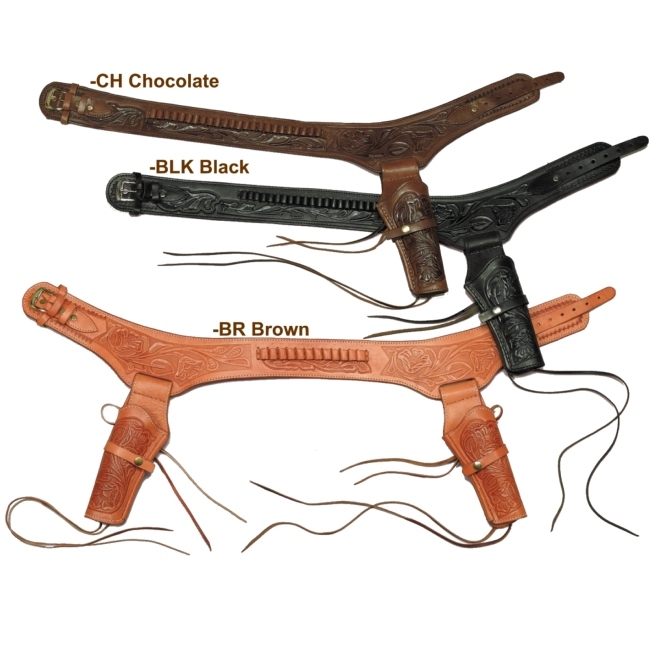 We have plain leather gun belts with or without cartidge holders. We have tooled leather holsters. Most are avaialble in .22, .38 and .45 caliber. We even ave a concealed carry vest and gun slings. 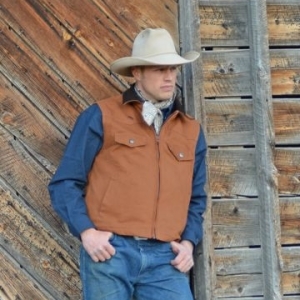 The western leather gun belts are a great addition to your reanactment attire.